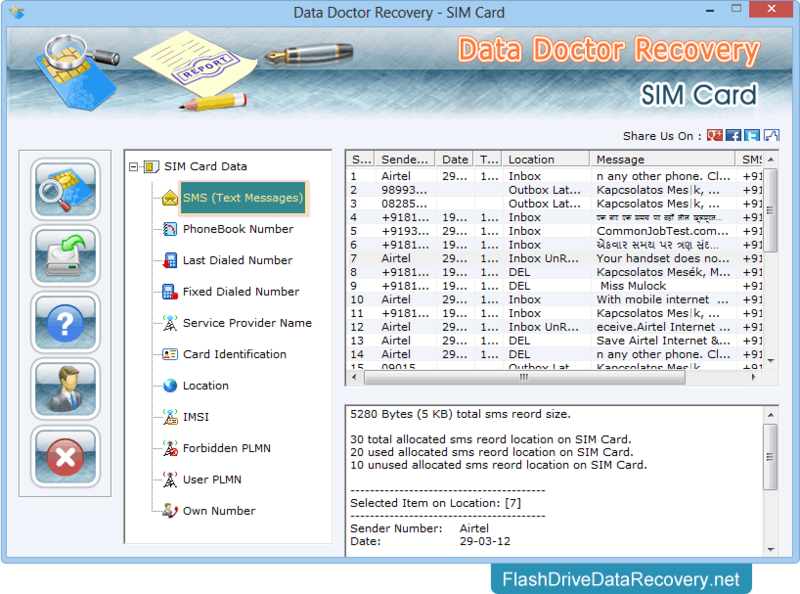 Sim card data recovery software recovers lost or deleted text messages (such as inbox, outbox and draft sms), contact number with name, recently deleted dialed or fixed numbers from GSM technology based mobile phone sim card. 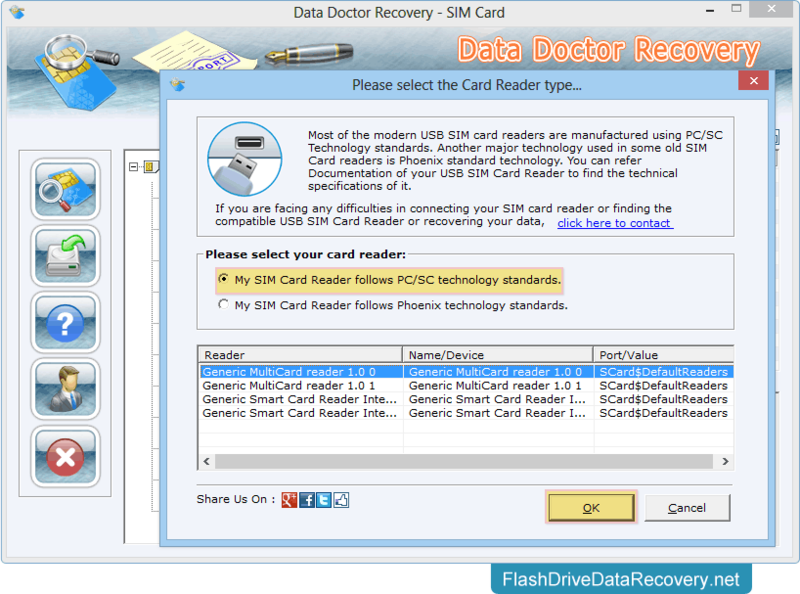 Sim card file restoration utility retrieve data lost due to accidental deletion, corrupted or virus infected sim card, improper sim card management and other common data failure reasons. Mobile sim card information retrieval application examine full details of sim card including card identification number (ICC), IMSI number, service provider name, network location and other details of sim card. 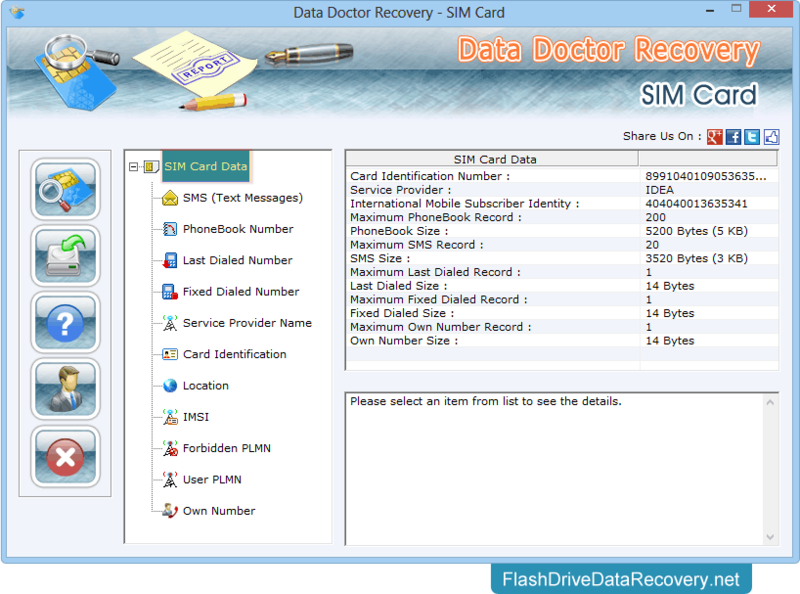 Cell phone sim card data revival application is capable to support sim card of any network service provider whether in subscription status or not. 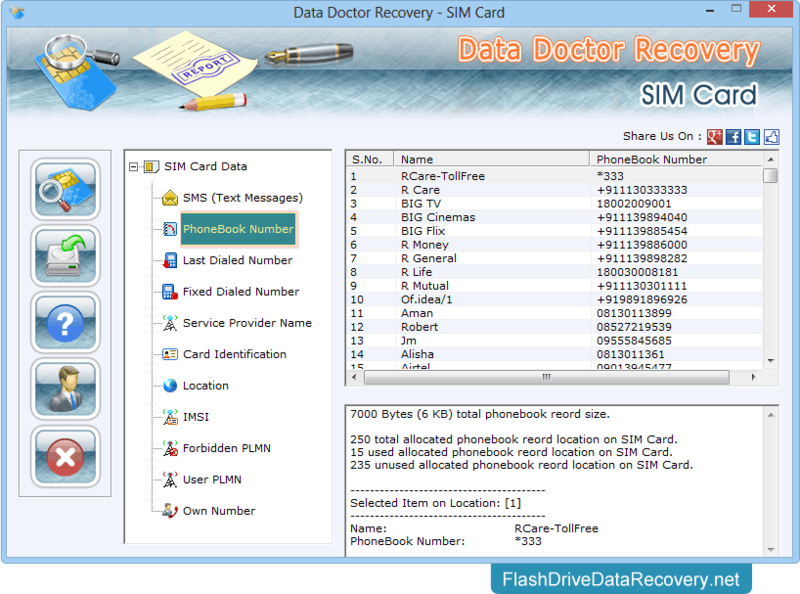 Recovers erased or missing valuable sms and phone book contact number from GSM mobile phone sim card. Easily work with PC/SC and Phoenix standard USB sim card reader. Generate user readable reports, which make possible viewing date and time of deleted sms and contact number. Select sim card data to view sim card information. Select 'PhoneBook Number' option to view recovered phonebook numbers.